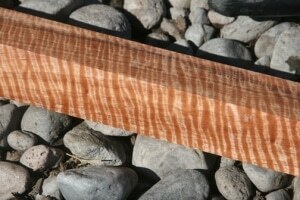 Pyinma is a blonde wood from Southeast Asia with a highly figured grain. 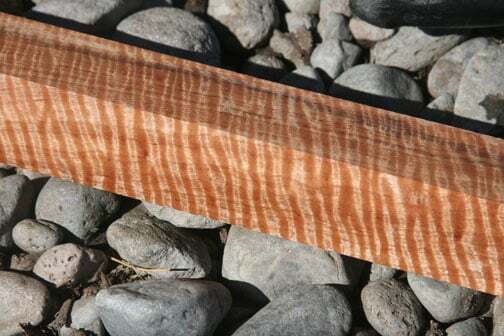 The wood is both light in weight and color with a wavy shimmer. Like Cherry, this initially light colored wood darkens with age. Pyinma is one of the most highly figured woods available and can have a three-dimensional depth when finished. I’m considering dice made of this wood, but I’m wondering how wide those bands are. For instance, on the redwood description, it indicates the bands will probably not be visible, but these look smaller. Would you be able to see multiple bands on the side of, say, a 3/4″ d6? pyinma has a tighter grain than redwood does so you will see multiple curls on the dice.